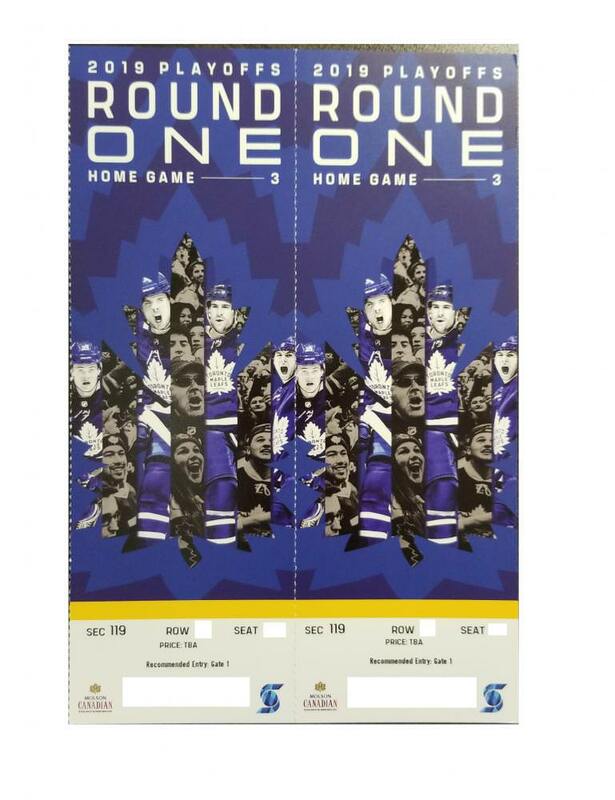 The selected purchaser chosen will receive 1 pair of Leaf Playoff Tickets for Home Game Three Round 1 vs The Boston Bruins at the Scotia Bank Center on Sunday April 21st, 2019. These are hard copy tickets and can be picked up in the GTA, can be couriered or can be sent to Will Call at the venue, once the Razz is complete. These tickets are in Section 119 Row 20 or better. Center Ice! Buy with confidence, seller is a Razzall Verified. Razzall.com guarantees these seats! If the sellers asking price is not fulfilled by Sunday April 19th at 11:59 pm all funds will be returned to participants wallets, so if Razz spots are not all taken. In the event that there is no Home Game 3 (Game 6 in the series) all funds will be returned to members wallets. Razz Closed: This Razz has been purchased by a user via the 'Buy It Now'.